Self-catering Villa with 4 bedrooms and 4 bathrooms. Sleeps 8. Saturday changeover. Self-catering Villa with 0 bedrooms and 2 bathrooms. Sleeps 6. Saturday changeover. Self-catering Villa with 3 bedrooms and 1 bathrooms. Sleeps 7. Saturday changeover. Self-catering Villa with 2 bedrooms and 3 bathrooms. Sleeps 10. Saturday changeover. Self-catering Villa with 2 bedrooms and 2 bathrooms. Sleeps 8. Saturday changeover. Self-catering Villa with 4 bedrooms and 2 bathrooms. Sleeps 7. Saturday changeover. Plazac is located in Dordogne in the Aquitaine region of France. The closest airport to Plazac is Bergerac Airport (47 km) also worth considering are Limoges Airport (92 km), Angouleme Airport (100 km), or Rodez Airport (132 km). Nearby Plazac attractions for visitors like as Vezere Valley (La Vallee de Vezere) (5 km), Lascaux Caves (Les Caves de Lascaux) (9 km), National Museum of Prehistory in Dordogne (Le Musee Nationale de la Prehistoire) (11 km), or Château de Beynac (22 km) will keep you occupied. See our local area information above for more visitors information and suggestions on accommodation nearby or you can jump straight to places to stay in Plazac or take a look at property for sale in Plazac. If you do visit Plazac leave a tip using the link above, we would love to hear from you and other users will appreciate your knowledge. 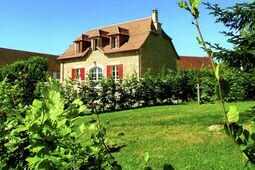 I you are looking for some choices beyond Plazac we have a great selection of accommodation in France and also real estate in France	if you require it. 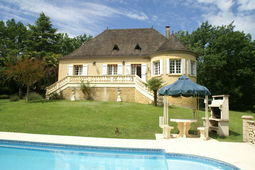 Alternatively you might consider cottage south west france and Affordable Holidays to Cornwall? 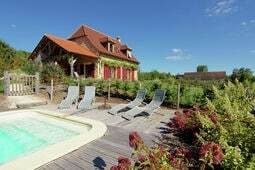 Try France or Gites To Rent In France. Some common requests we have received from other visitors related to visiting Plazac in France include Aquitaine, Sell Vacation Property In Aquitaine, cottage south west france.